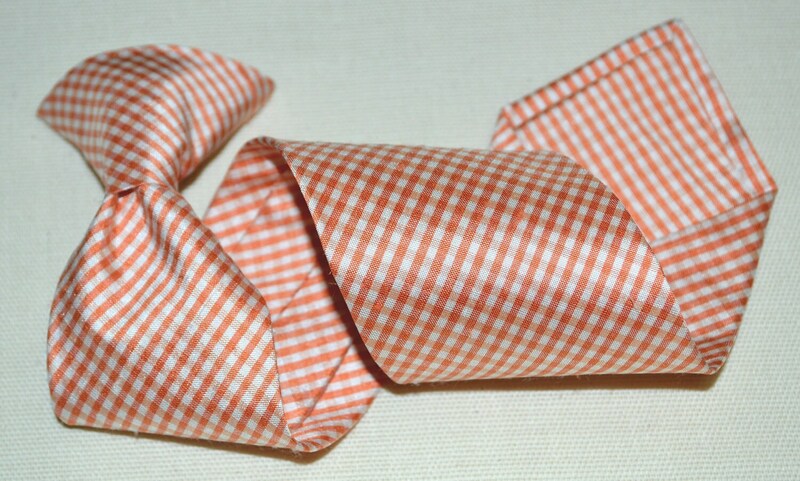 This necktie is fully handmade in 100% silk in a contemporary orange gingham, which complements many outfits and suits. It invisibly clips at the collar for secure and safe wearing. 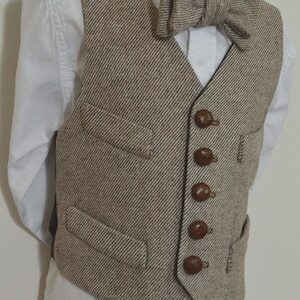 Necktie is in stock as shown, youth size, 13 1/2" from knot to tip. Shell is 100% silk, and is self-tipped. 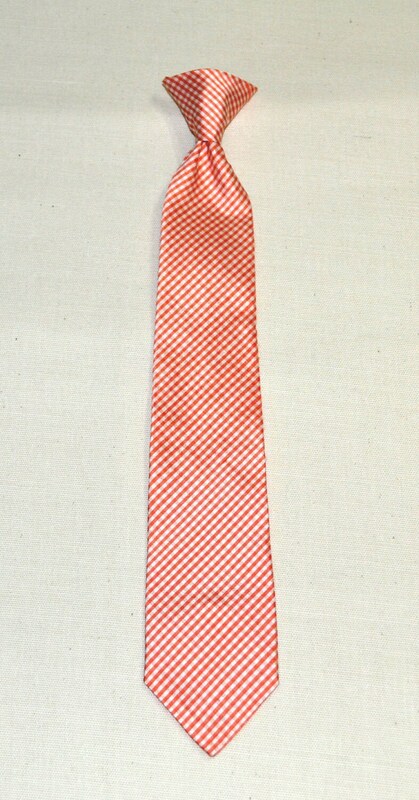 Necktie is interlined for stability and proper hang. 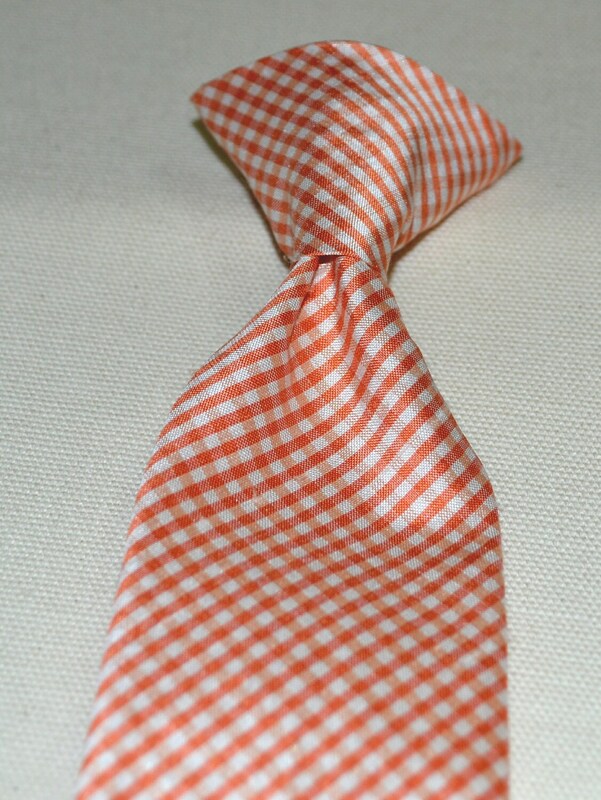 Clip is the patented Eastern Creative clip, which creates a close fitting tie, and resembles a four-in hand knot. Zinc lever conforms to EU standards. 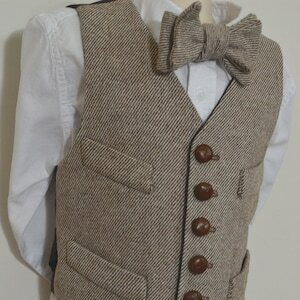 Custom orders accepted, state length desired, as well as style. Tie features hand crochet bar tacks on each end and a label which can serve as a keeper if desired. 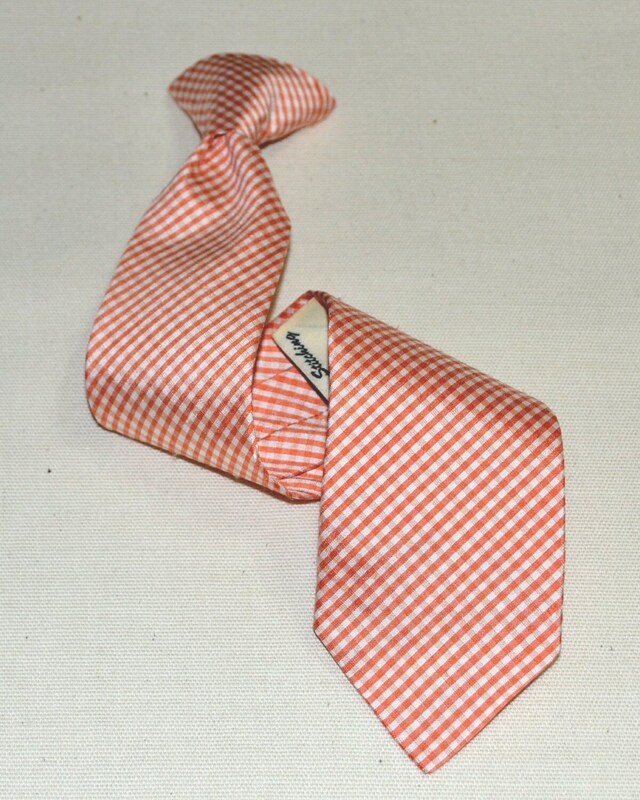 Purchase this tie to complement a variety of shirts and vests. Spot clean only. Do not attempt to remove tie from clip. USPS First class shipping, gift boxed. 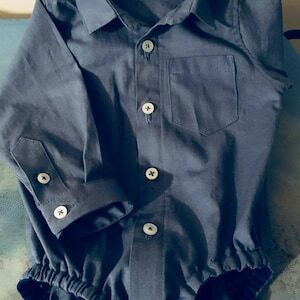 Made in USA of imported fabric in a smoke free, pet free environment.